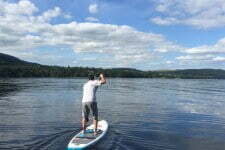 We provide Stand Up Paddleboarding lessons, adventure tours and board hire on the wonderful Ullswater in the Lake District. 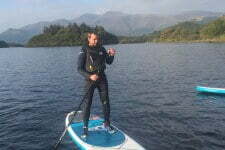 Our instructors are qualified through the British Stand Up Paddleboard Association to ensure your safety and enjoyment at all times. 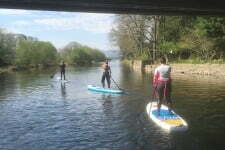 "Thank you so much for our paddleboarding lesson - it was brilliant! It was great to do an activity as a whole family, we all loved it!" 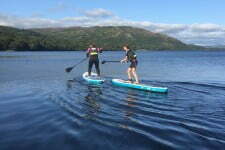 Come and join us for a paddleboarding lesson. It's a perfect activity for families, groups or individuals who want to get out on to the water and have fun whilst exploring the natural environment of the Lake District. Fantastic adventure tour from Glenridding with Garry and Harry. Cruising round the islands of Derwentwater with the Jenkinson family. Great morning with Emmaline and David touring the Islands and Bays of Ullswater.